From experience, poison ivy is no laughing matter. Every part of this plant is poisonous and the oil called urushiol causes severe allergic reactions. If ingested, can be fatal. 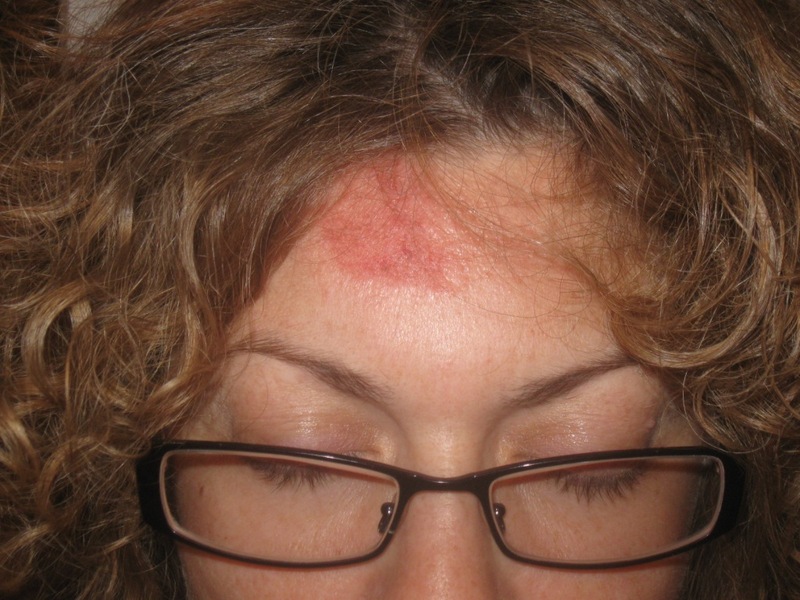 Below are pictures of the allergic reaction I was subject to a few weeks ago. I never touched the poison ivy plant. I handled a shrub that was removed from area infested with the ivy. There was no foliage on the poison ivy, the urushiol oil is present even on the roots. The oil is very concentrated and will last for up to a year. 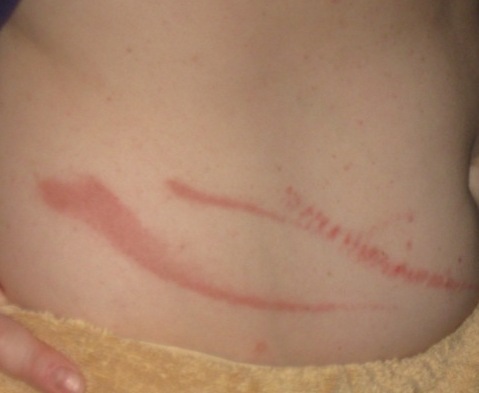 The allergic reaction is very itchy and will cause scarring if not treated early. Apparently, one does not build up an immunity to the poison and each exposure to urushiol will be greater in severity. Steroids are the best solution administered by your doctor. In the meantime a medication containing antihistamine can be taken to alleviate some discomfort. Oatmeal baths, calamine lotion and aloe vera gel applied to prevent scratching. Teach your children now that Leaves of 3 Let Them Be. 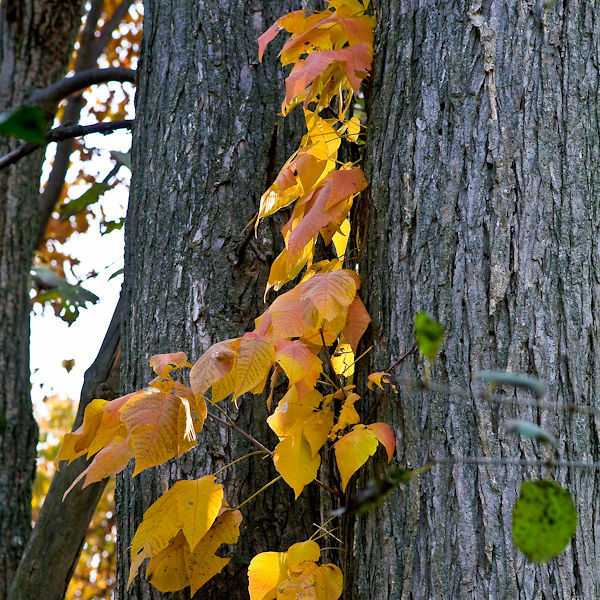 Poison ivy plants are very noticeable in the autumn because of their bright red, orange or yellow color. It is a very beautiful display, but beware!! 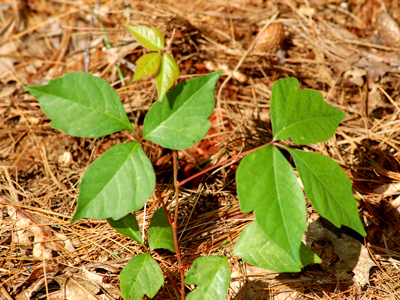 This plant will grow within your landscape too, but is more prevalent in woodland areas.